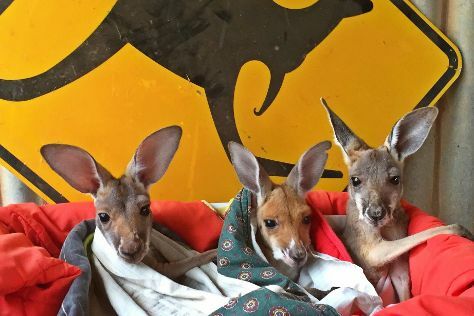 Kick off your visit on the 21st (Thu): identify plant and animal life at Wildlife Areas and then look for all kinds of wild species at The Kangaroo Sanctuary. To see other places to visit, photos, reviews, and other tourist information, read Alice Springs day trip tool . Barcelona, Spain to Alice Springs is an approximately 31-hour flight. The time zone difference moving from Central European Time (CET) to Australian Central Standard Time (Northern Territory) (ACST) is 8 hours. While traveling from Barcelona, expect much hotter days and somewhat warmer nights in Alice Springs, ranging from highs of 40°C to lows of 21°C. Finish your sightseeing early on the 21st (Thu) to allow enough time to travel to Sydney. Get outdoors at Bondi Beach and Scuba & Snorkeling. 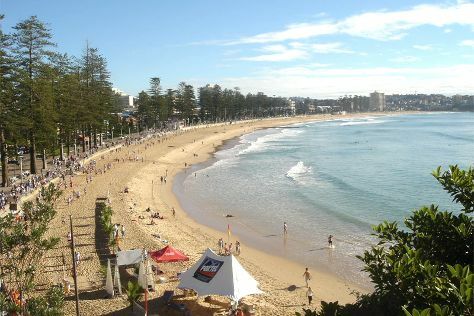 Visit Manly Beach and Camp Cove for some beach relaxation. And it doesn't end there: wander the streets of The Rocks, snap pictures at Sydney Harbour Bridge, take in nature's colorful creations at Royal Botanic Garden Sydney, and catch a live performance at Sydney Opera House. To see photos, more things to do, reviews, and more tourist information, refer to the Sydney trip planner . Fly from Alice Springs to Sydney in 5.5 hours. Alternatively, you can drive; or take a bus. While traveling from Alice Springs, expect slightly colder days and about the same nights in Sydney, ranging from highs of 30°C to lows of 22°C. Wrap up your sightseeing on the 24th (Sun) early enough to travel to Port Douglas. Start off your visit on the 25th (Mon): get a new perspective on things with Boat Tours & Water Sports. Get ready for a full day of sightseeing on the 26th (Tue): get interesting insight from Tours. To see more things to do, maps, photos, and tourist information, use the Port Douglas route planner . You can do a combination of flight and shuttle from Sydney to Port Douglas in 7 hours. Other options are to drive; or do a combination of train and bus. Traveling from Sydney in March, things will get a bit warmer in Port Douglas: highs are around 36°C and lows about 27°C. Wrap up your sightseeing on the 26th (Tue) to allow time to drive to Cairns. Kick off your visit on the 27th (Wed): see some colorful creatures with a scuba or snorkeling tour. Traveling by car from Port Douglas to Cairns takes 1.5 hours. Alternatively, you can take a bus; or take a shuttle. In March in Cairns, expect temperatures between 36°C during the day and 27°C at night. Finish your sightseeing early on the 27th (Wed) so you can travel back home.